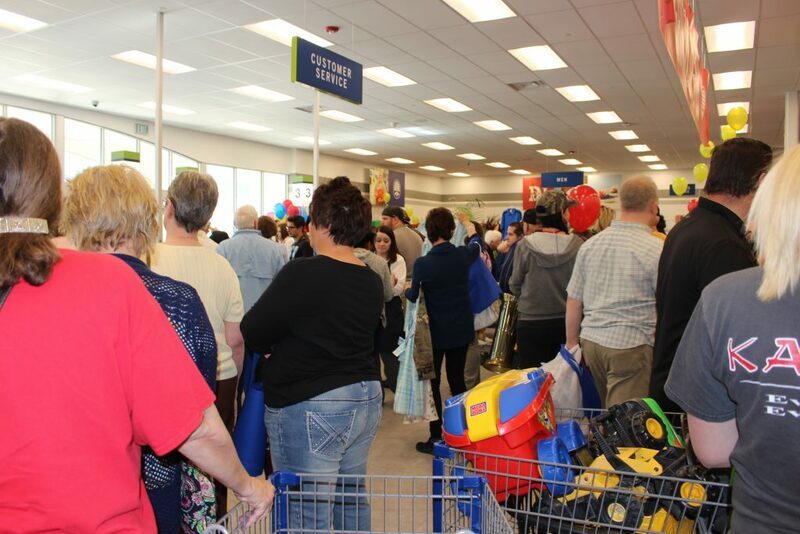 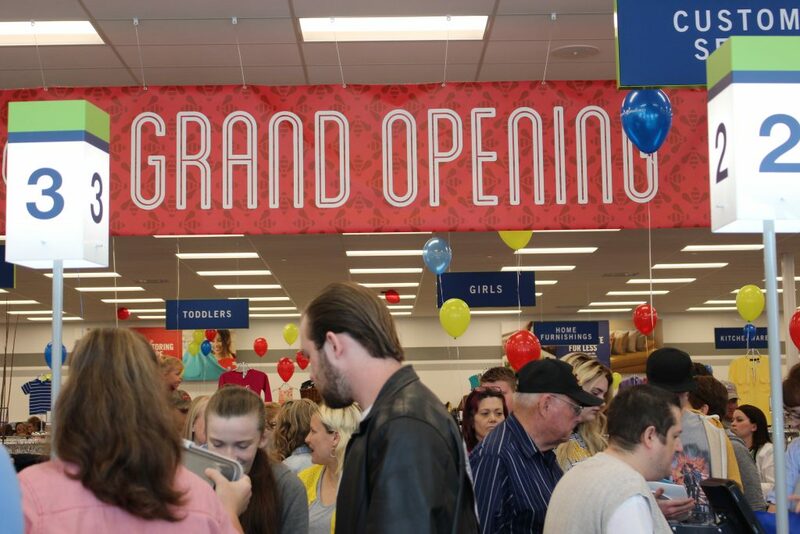 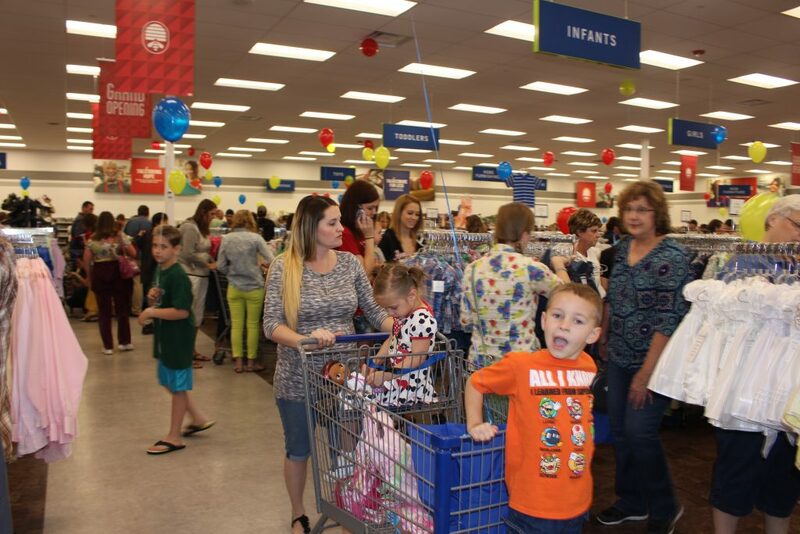 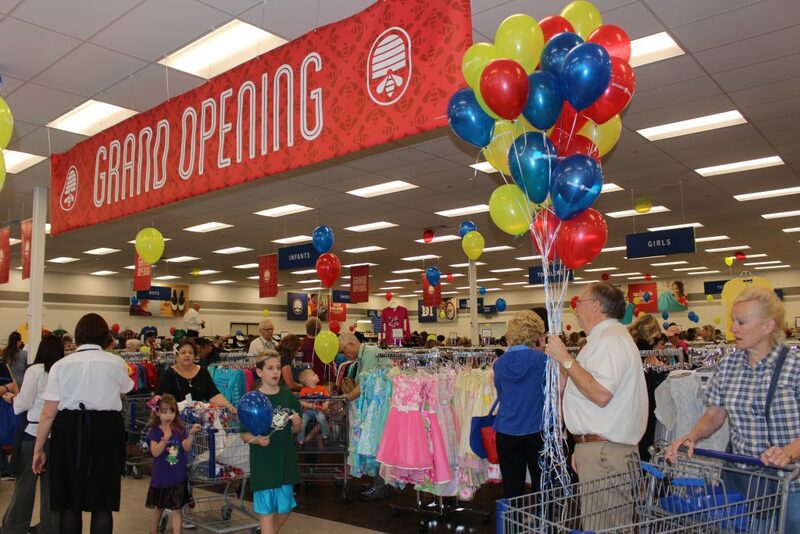 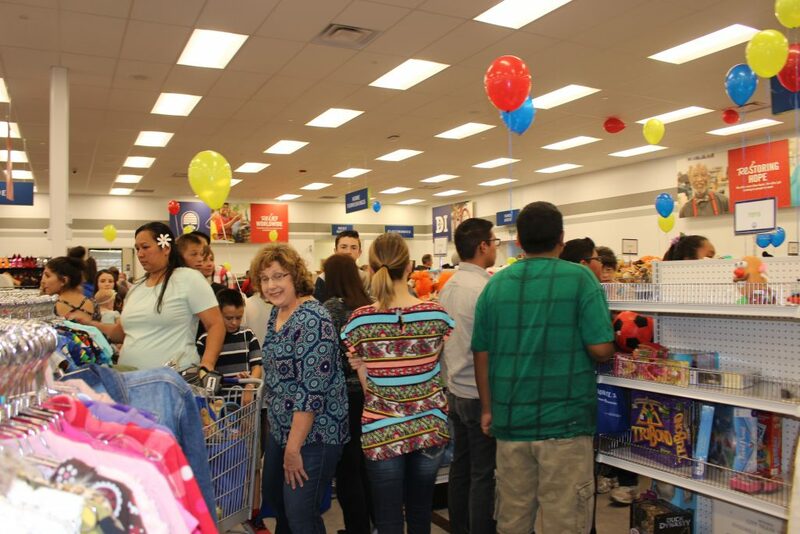 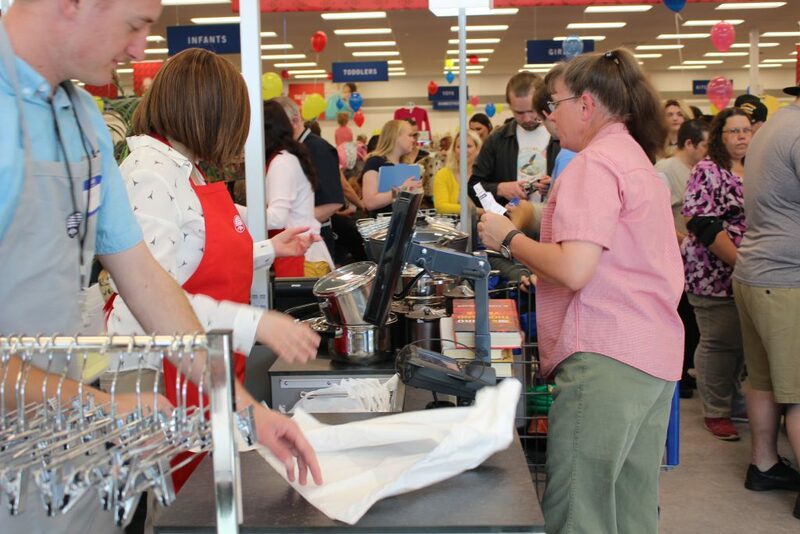 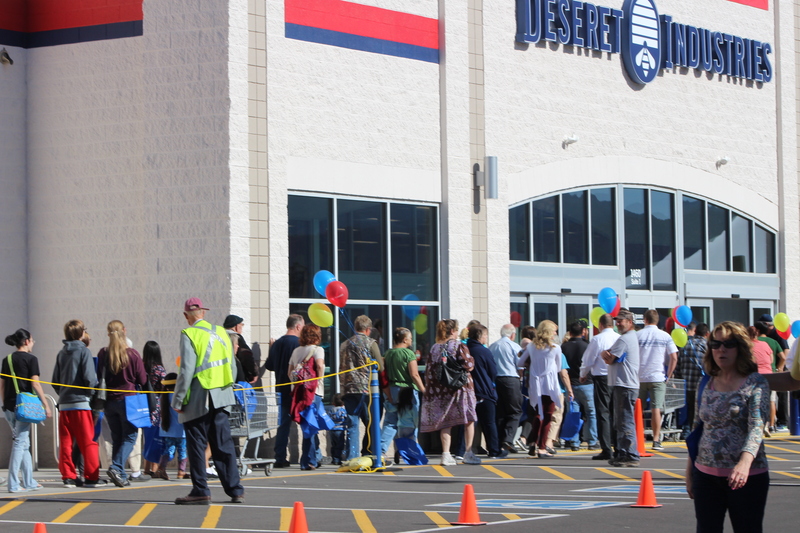 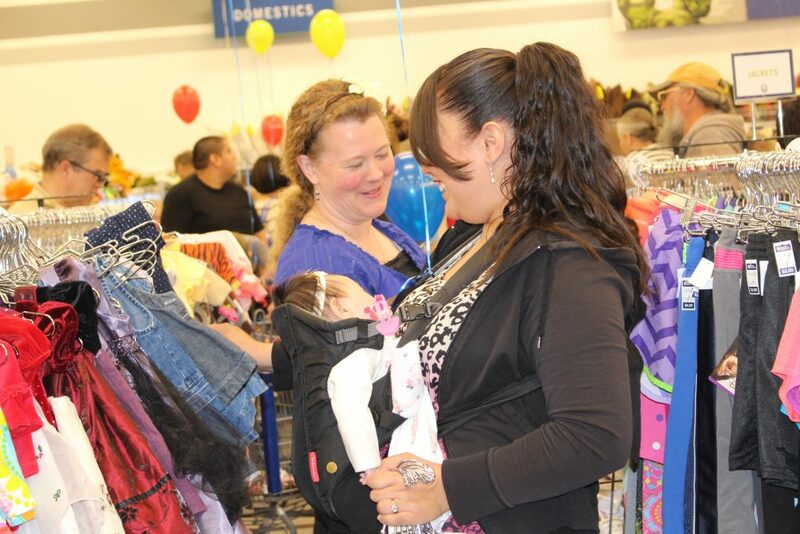 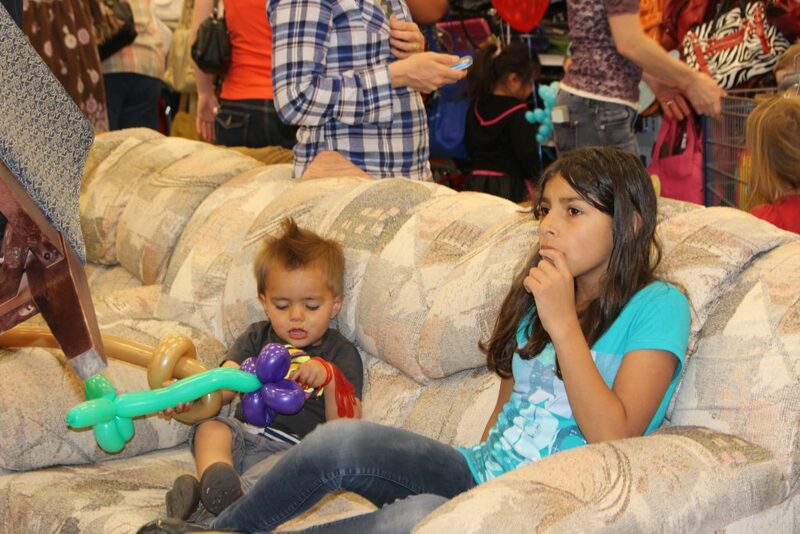 CEDAR CITY – Officials estimated several hundred people – if not a thousand – came out Thursday for the grand opening of the new Deseret Industries store, some of them waiting in line as early as 5:30 a.m. 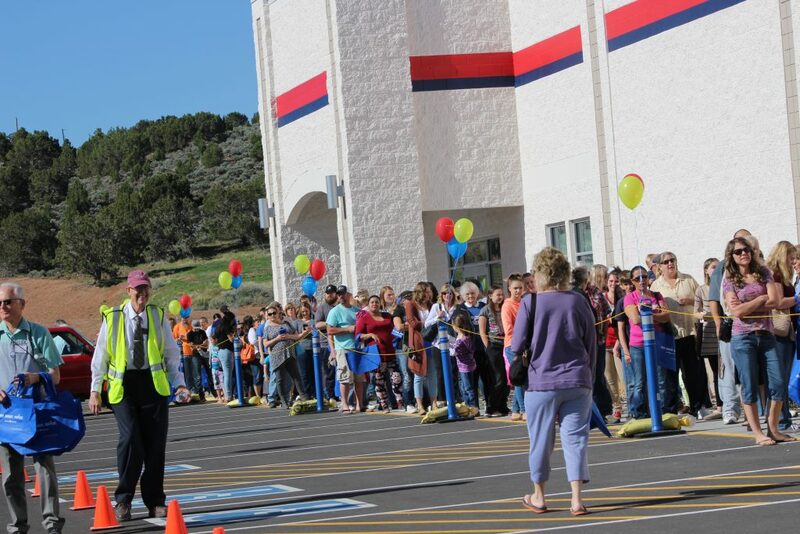 The line of Cedar City shoppers wound from the front entrance of the new 48,000-square-foot building around the side, anxious for the clock to strike 10 a.m. when the doors finally opened for the first time. 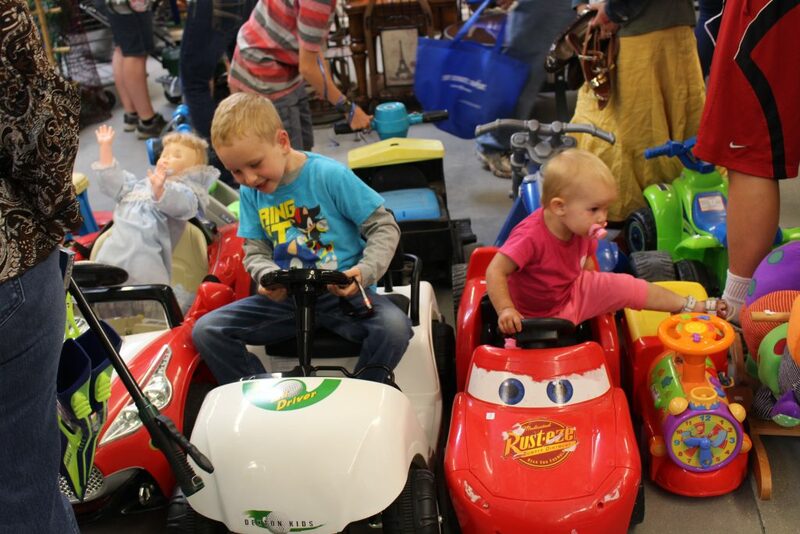 With the construction of the building underway for some time, the anticipation in the community for this day has been growing for several months. And for most, they weren’t disappointed. 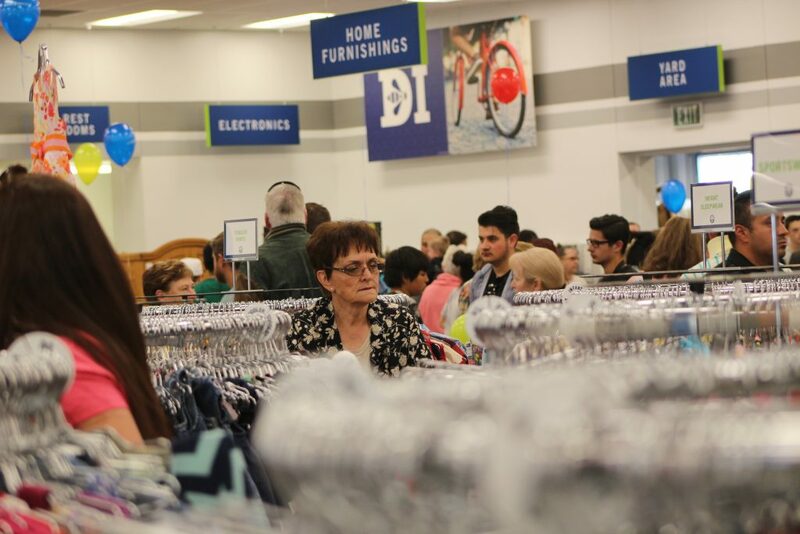 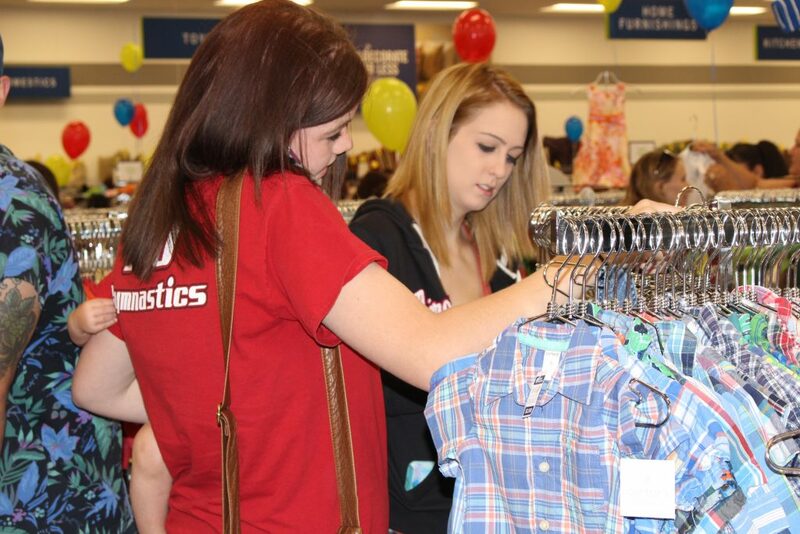 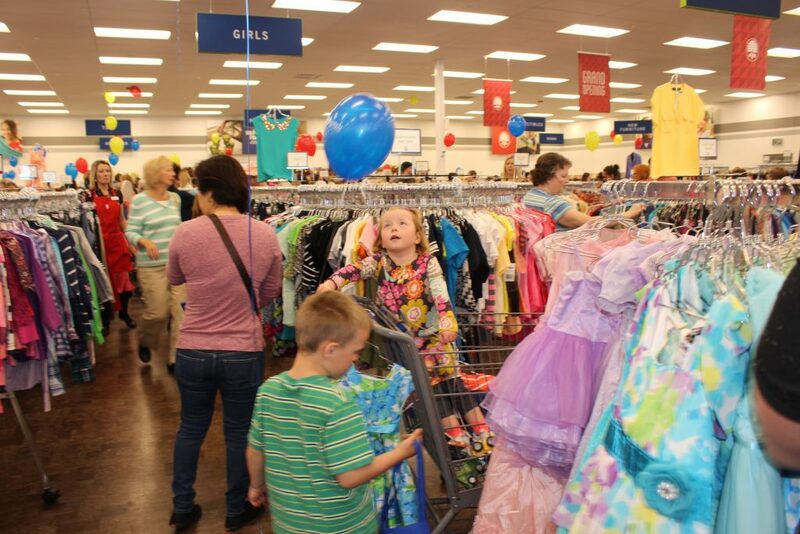 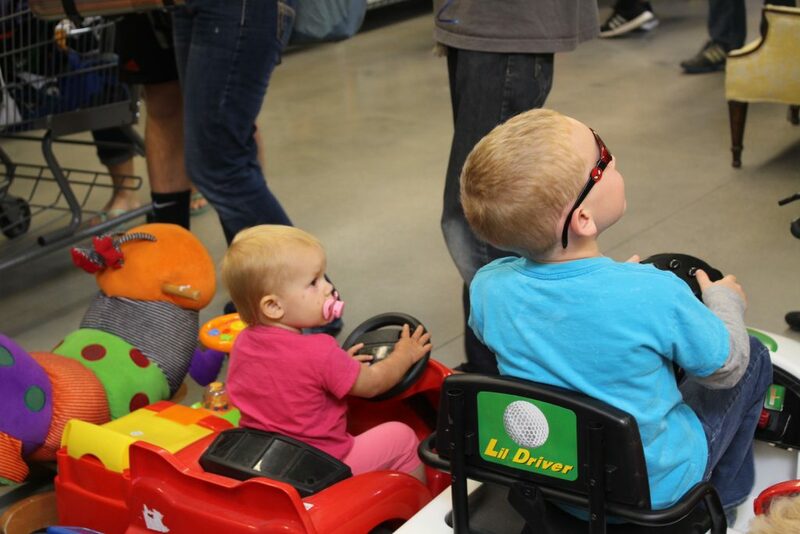 Owned by The Church of Jesus Christ of Latter-day Saints, the DI is a secondhand store offering everything from home décor and furniture to clothes and electronics, and the very best merchandise is reserved for grand openings such as this one. 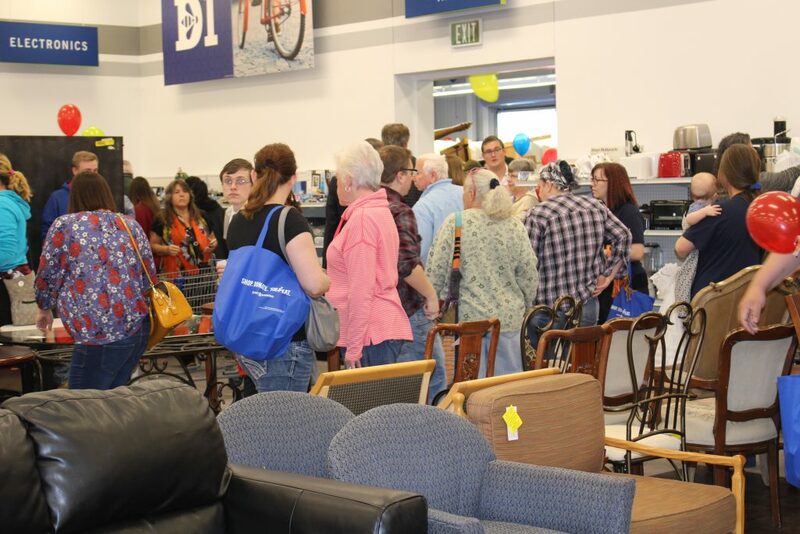 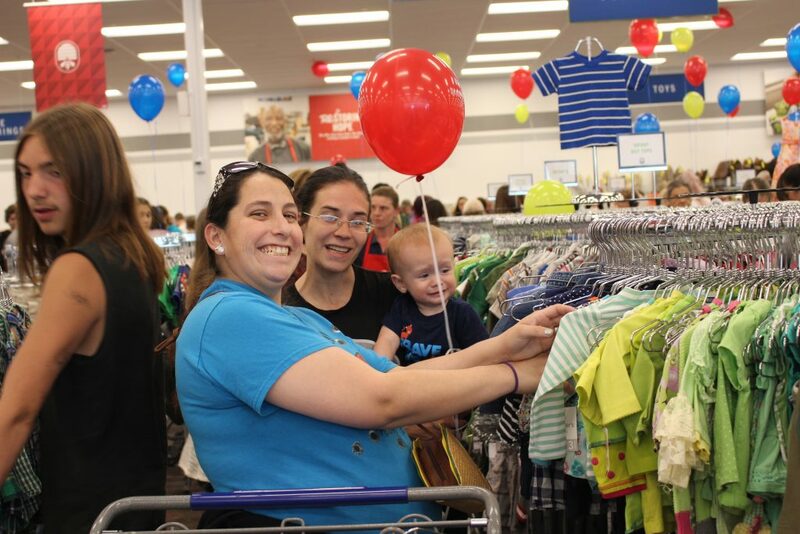 But it’s not just the low-cost merchandise on the shelves that makes the DI appealing to communities, it’s also the helping hand they offer to those who, for one reason or another, have been displaced in the workforce and unable to secure employment. 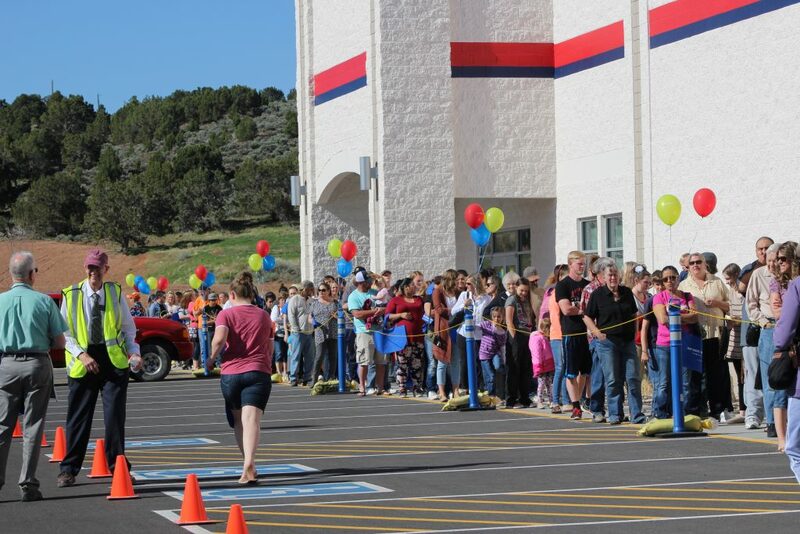 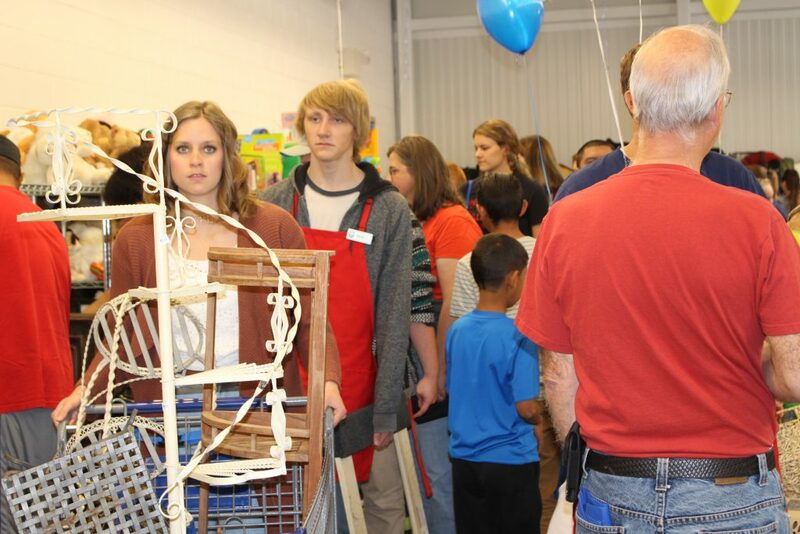 On average, the Cedar City DI has trained an estimated 250 associates per year. 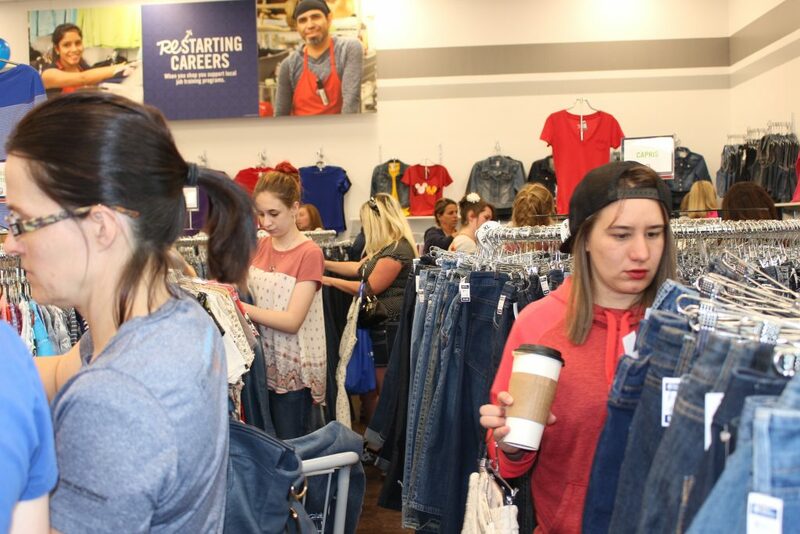 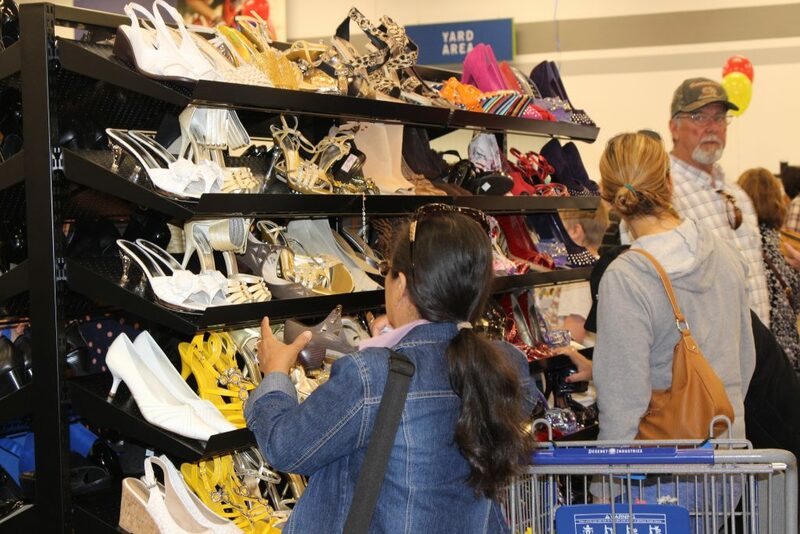 The new store increases this number, allowing them to train approximately 75 associates at any given time, Brooke Yates, marketing manager for DI, said. 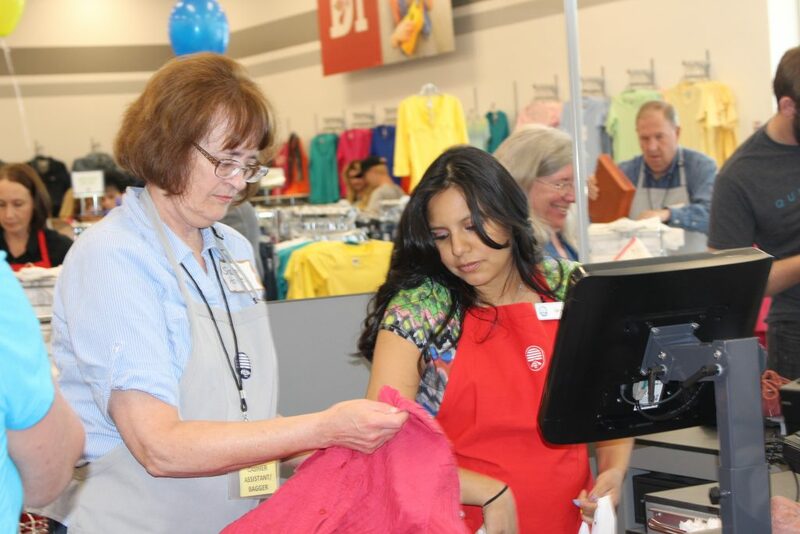 Participating in the training program also provides employees with multiple resources to expand both their education and employment skills. 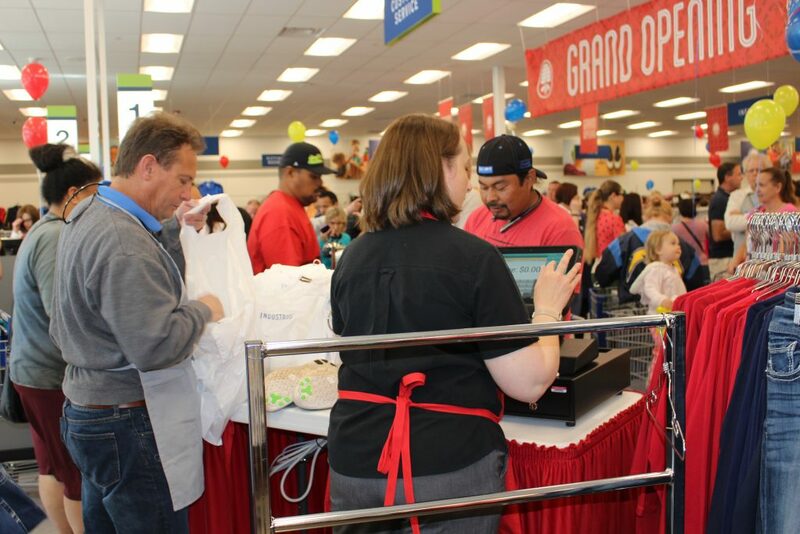 Among these is a program that allows employees to receive technical certifications, with the DI picking up the tab. 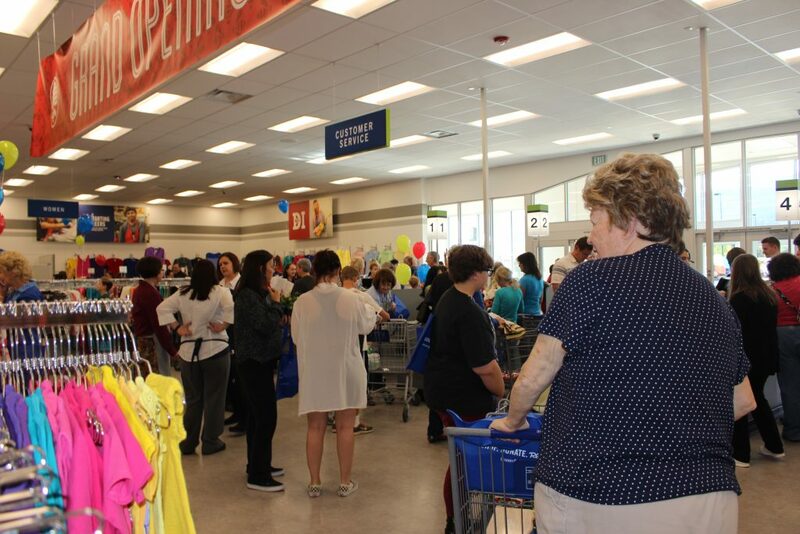 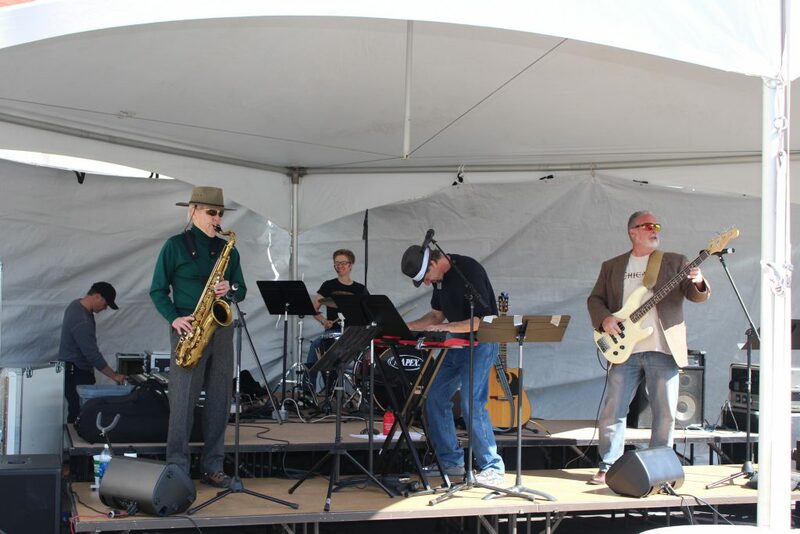 Those who participate in the program come from various demographics, from those with physical and mental disabilities to those who are unable to find a job due to their criminal history. 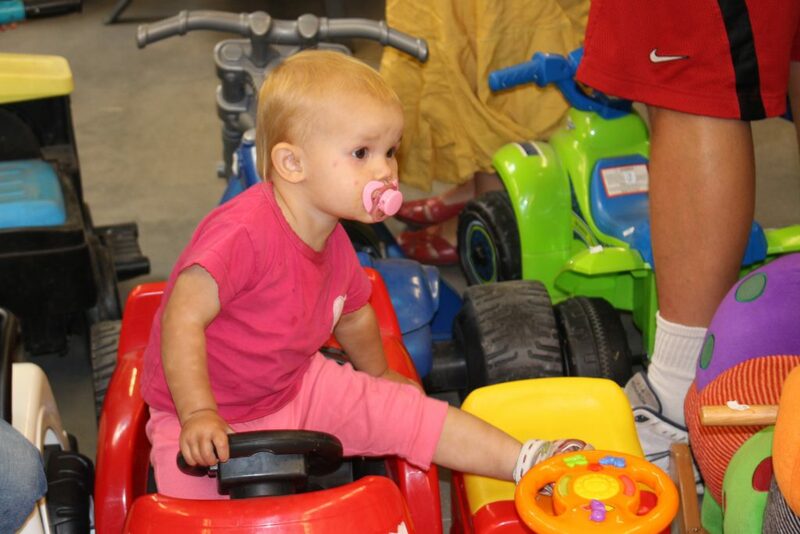 Age groups also vary from youth to senior citizens. 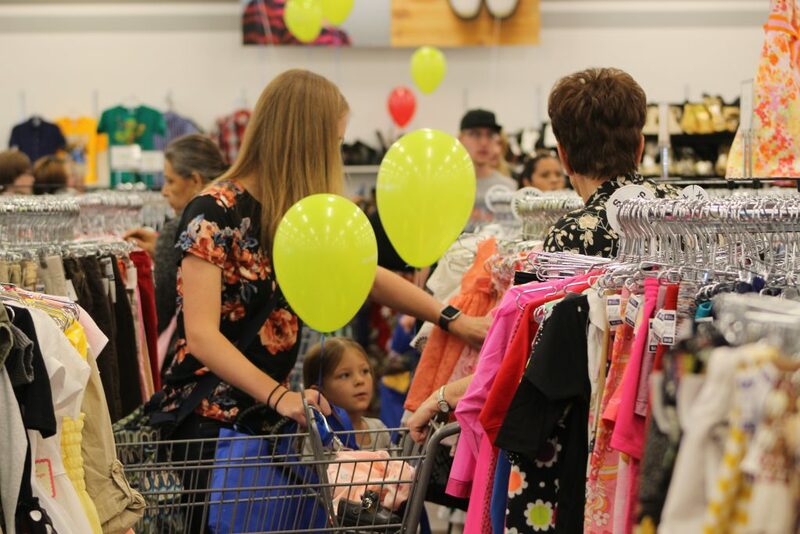 In an interview with Cedar City News, Chamber of Commerce Executive Director Chris McCormick said he has personally seen success stories resulting from the DI’s employment services, adding that he believes they will now be able to do even more. 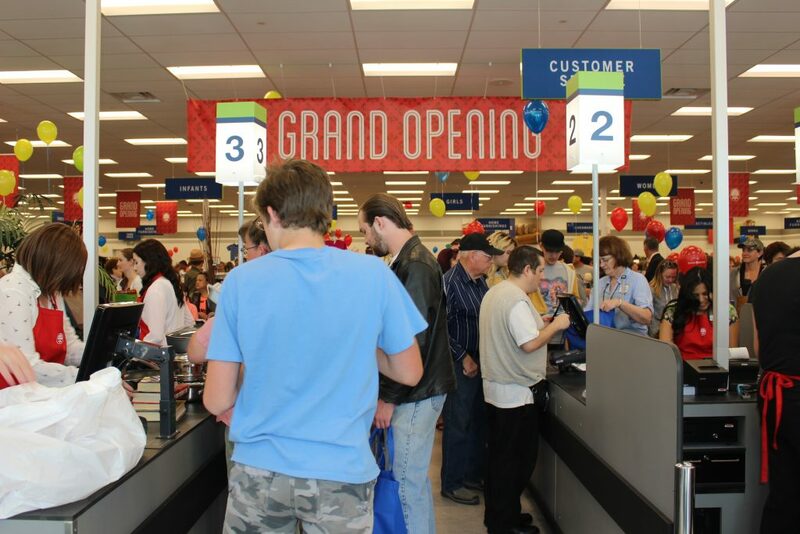 So any time you see new businesses like this, especially of this size, it helps to instill confidence in other businesses. 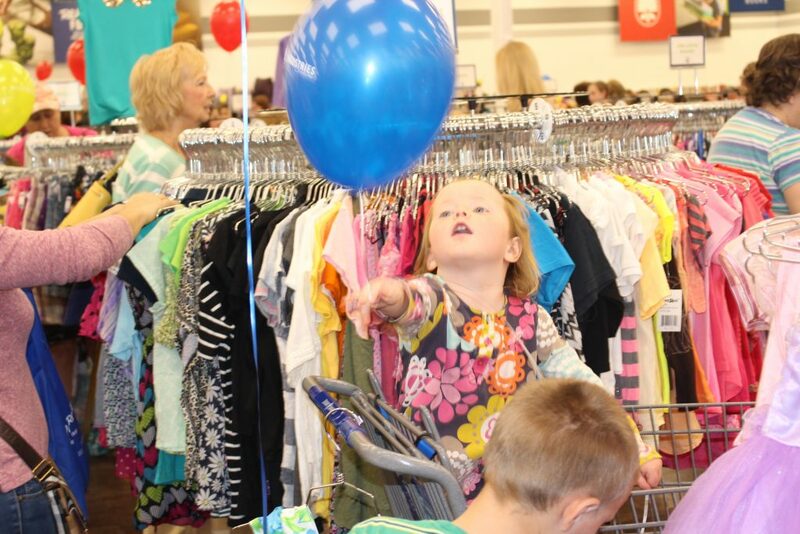 And it helps to instill a sense of hope in our community of growth and seeing positive things happen. 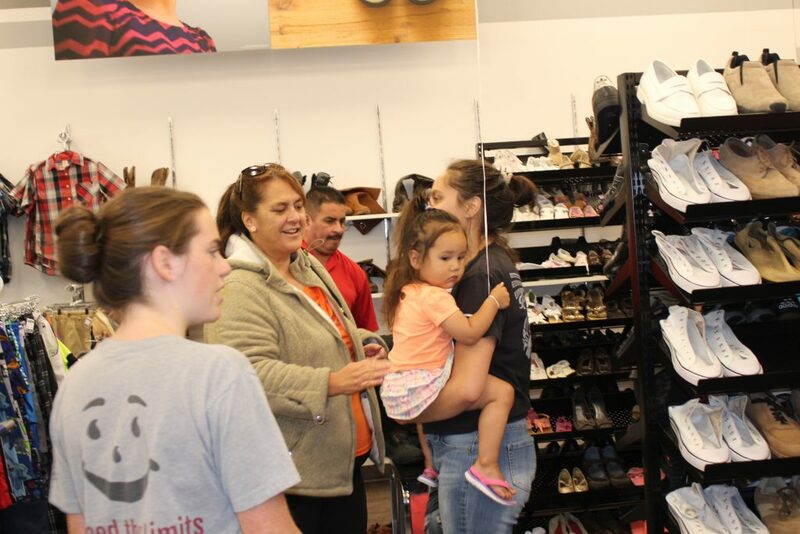 And one of the tremendous things about this is, this store has a direct impact as well as an indirect impact on our community. 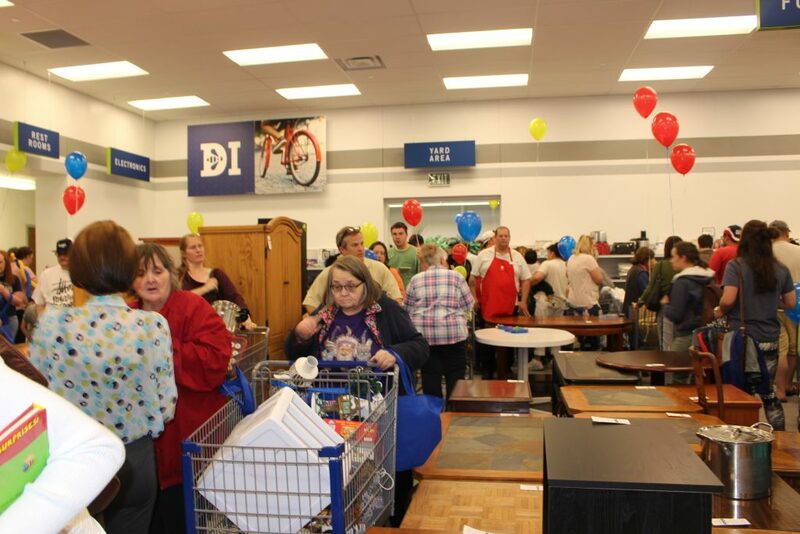 The direct impact obviously is the sales taking place right now but the indirect is all the people here that come through the employment program that get training and become self-reliant because the DI has a program to help get people back on their feet. 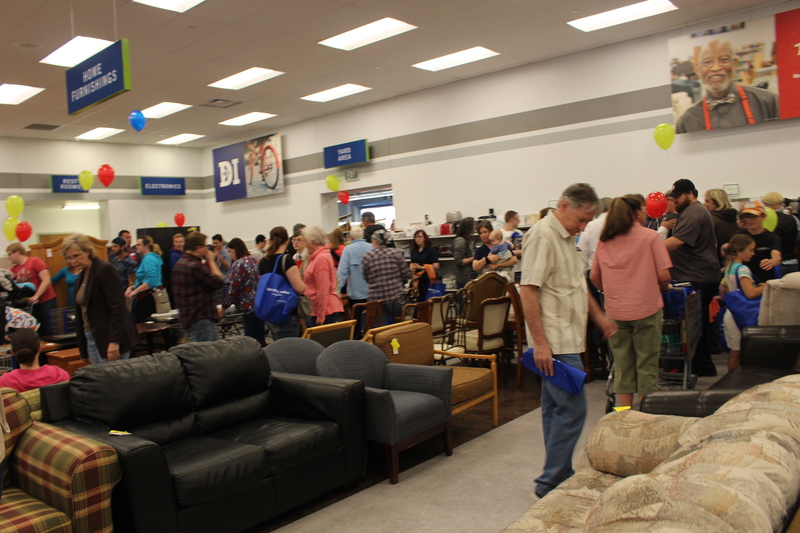 Likewise, Cedar City Mayor Maile Wilson said she believes the store is a great benefit to the community. 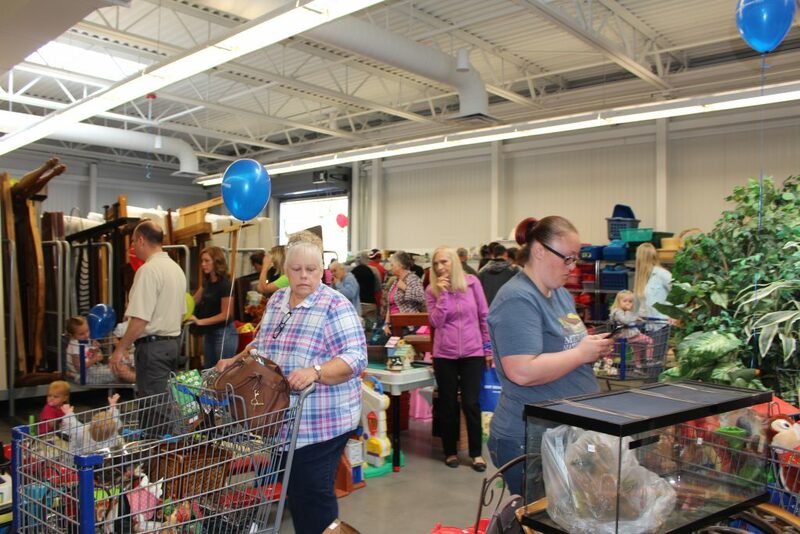 In addition to the employment program, the DI also helps about 1,600 residents a year receive goods through community grants. 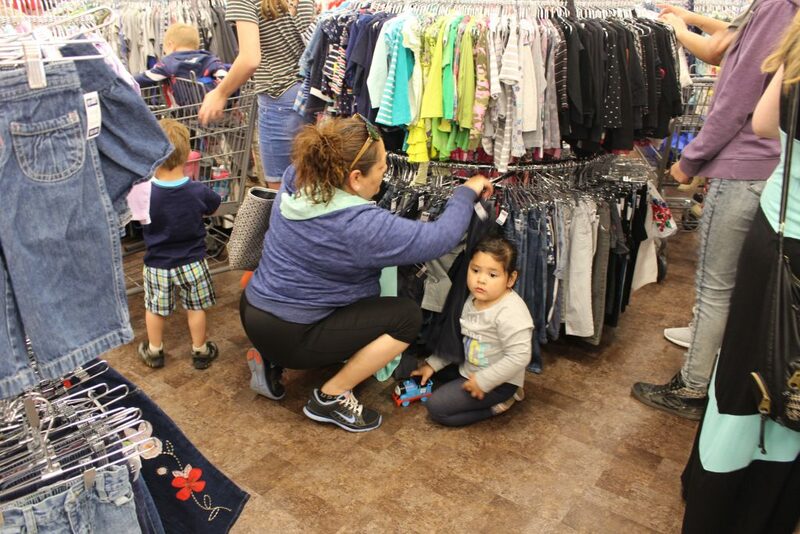 The DI is part of the LDS church’s welfare program that includes LDS Family Services. 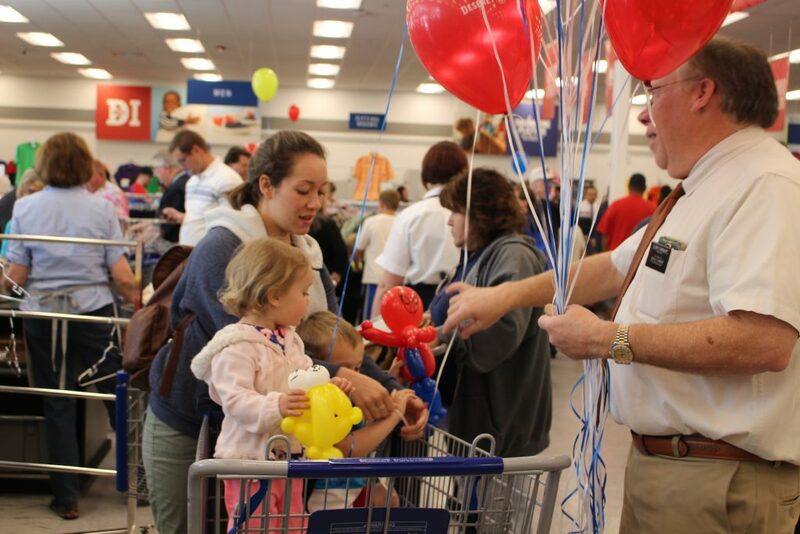 Together the two donate more than 7 million hours of welfare relief from 10,236 associates in 147 countries, 132 storehouses and 94 LDS Family Service facilities and 48 farms.